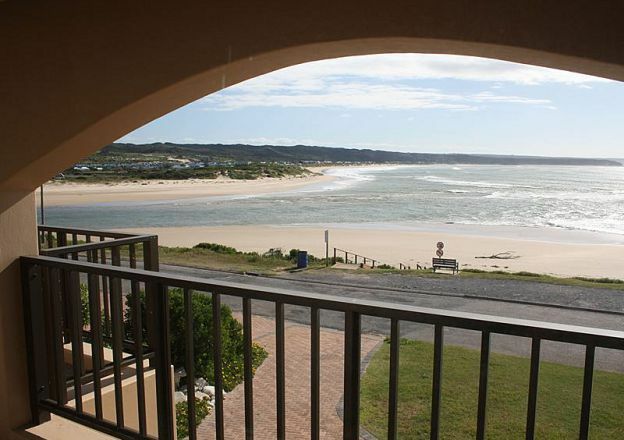 Enjoy comfortable, luxury accommodation in Stilbaai at the Beach Castle. 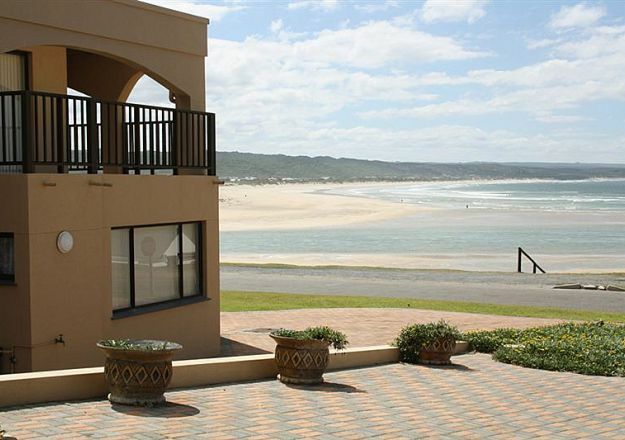 Guests seeking self-catering accommodation in Still Bay will find present-day elegance, finesse and comfort at this beach house. Beach Castle offers accommodation at affordable rates and with complementary safe, off-street parking for guests. The popular seaside village of Still Bay is positioned around the estuary of the Goukou River. Where it flows into the Indian Ocean. Dividing the town into Stilbaai East and Stilbaai West. The Beach Castle sits on the western riverbank right there where the river meets the ocean. 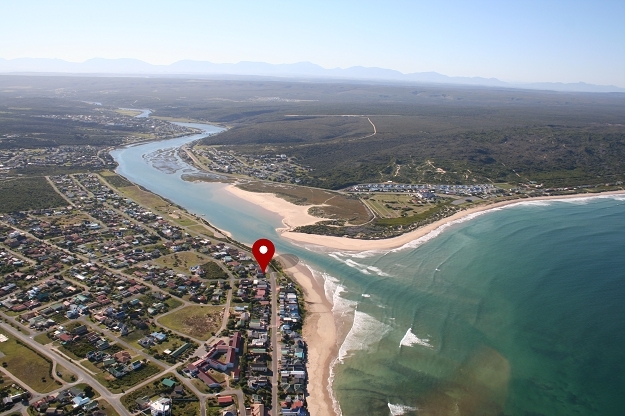 This is probably the best location in Stilbaai because of the proximity of the river-mouth and the Son-en-See beach. The main swimming beach is on the western side of the river. At Beach Castle you can delight in the splendour of daybreak over the estuary and the blue flag beach on the opposite side of the river. 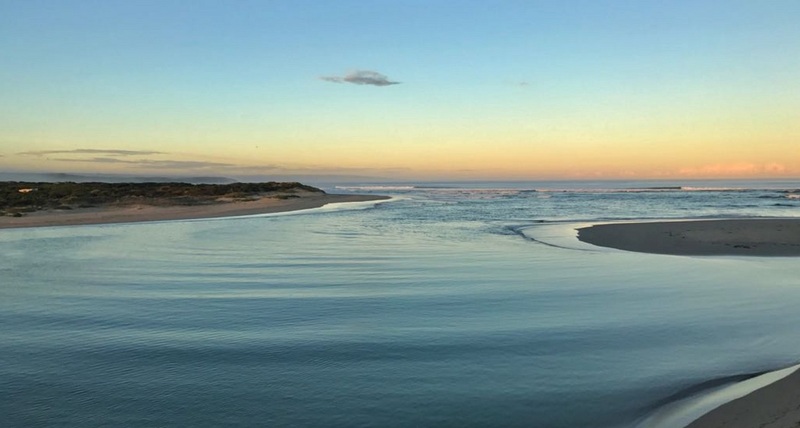 Enjoy the uninterrupted view over the river estuary, a large part of Still Bay East as well as the wide blue flag beach on the far side of the river. Onwards over the ocean and back to the Son-en-See beach, which is a conservancy, on the western side of the river where the water lovers have the time of their lives. From the comfort of the balcony you can watch holiday makers enjoying all kinds of water sports. If you want to join them, simply step over the street, walk down the steps and you are right at the water. At evening time you could stir up a fire for a braai and relax with a sundowner while observing the day slowly fading away and the night quietly moving in. Such peace, such utterly perfect and limitless peace that can only heal the weary soul. You might want to take a hike along the beach as far as the harbour while enjoying the sun and cool breeze. Listening to the constant whisper of the waves rolling in and the seagulls yelling at each other. Or you might want to roll out your towel and lie down for a relaxing bathe in the sun. You might be young enough to want to conquer the ocean, so join the surfers in the perfect breakers of Still Bay. This unit has 2 bedrooms each with an en-suite bathroom. The main bedroom has a double bed and the other bedroom has 2 single beds. The main bedroom has a full bathroom (bath and shower) and the other bathroom has a shower only. In the open plan living area/kitchen is also a double sleeper couch for children. 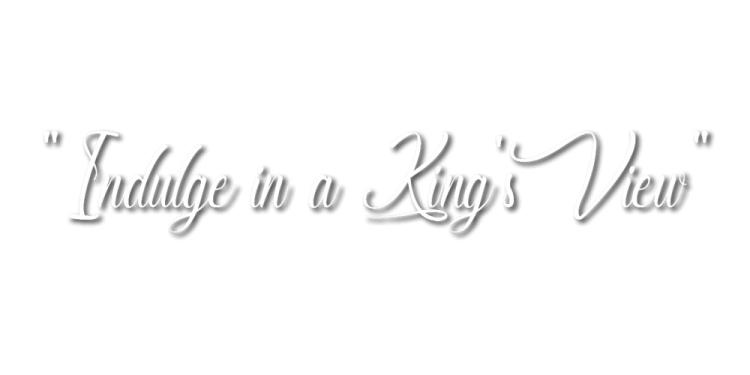 Bed linen as well as towels are provided. The top unit has 1 bedroom with a queen-size bed and a shared full bathroom with bath as well as a shower. There is also a loft area with 2 single beds and a sleeper couch. Then there is an open-plan living area and kitchen with another sleeper couch as well as a TV and DVD player, opening onto a balcony overlooking the sea and garden.